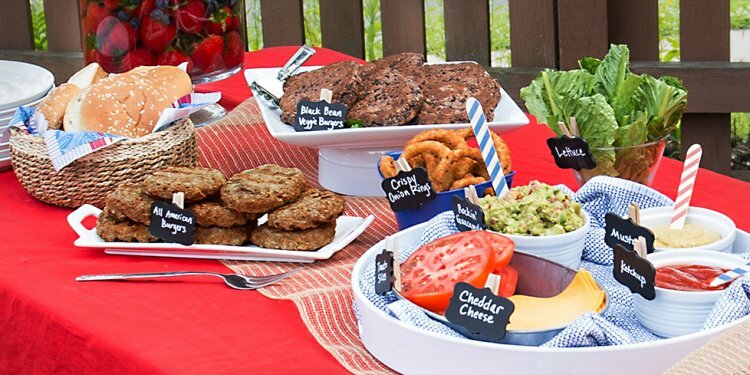 What to make for a BBQ Party? As the summer begins to really heat up, many of you may be thinking of heating up the barbecue too. After all, what's more fun than gathering friends and family for a sunny, backyard picnic or a garden party under the stars? I know I love it. But I've always found that a little bit of planning can take a perfectly nice meal outside to the next level and make it a truly memorable event. Have you got a theme in mind? What kind of lighting are you thinking of? And most importantly, what can you serve that will really wow your guests? Here are just a few fun ideas to get your creative juices flowing. Take a look, try some of them out and before you know it, your little barbecue can be transformed into a party to remember. Start with a clean, oiled grill to keep food from sticking. Preheat the grill, give it a scrub with a grill brush and then brush it with vegetable oil. Avoid turning meats frequently on the grill - one flip is all they need. Once your meats are grilled to your taste, let them rest for a few minutes on a warm plate tented with foil. This gives the meat time to “rest” and lets the juices regroup for the best flavor. What to served with BBQ Chicken?